Article: Is finishing strongly always a good thing? There's obviously never an easy time to play the All Blacks however this is probably as good as it gets for challengers to the all-conquering Kiwis. The world champions are playing away, playing at altitude, have several stars missing and already have the silverware sewn up. The Springboks will be pumped to near bursting point for this encounter, particularly after their superb display late in last week's victory over the Wallabies. And as Craig Dowd noted, the Ellis Park advantage should not be underestimated. The hosts have scored four tries or more in five of their past six Tests at the venue and they managed to get within four points when playing away in New Zealand three weeks ago. Wyatt Crockett and Brodie Retallick are big losses for the visitors however there's no doubt the All Blacks will also be up for the task. Motivation is rarely an issue and Beauden Barrett has shown he is a more than capable playmaker in Aaron Cruden's absence. Julian Savea is a constant threat and will cause havoc if given any space against a much smaller opposition winger. These are the two best sides in world rugby and should prove a fitting finale to an excellent tournament. 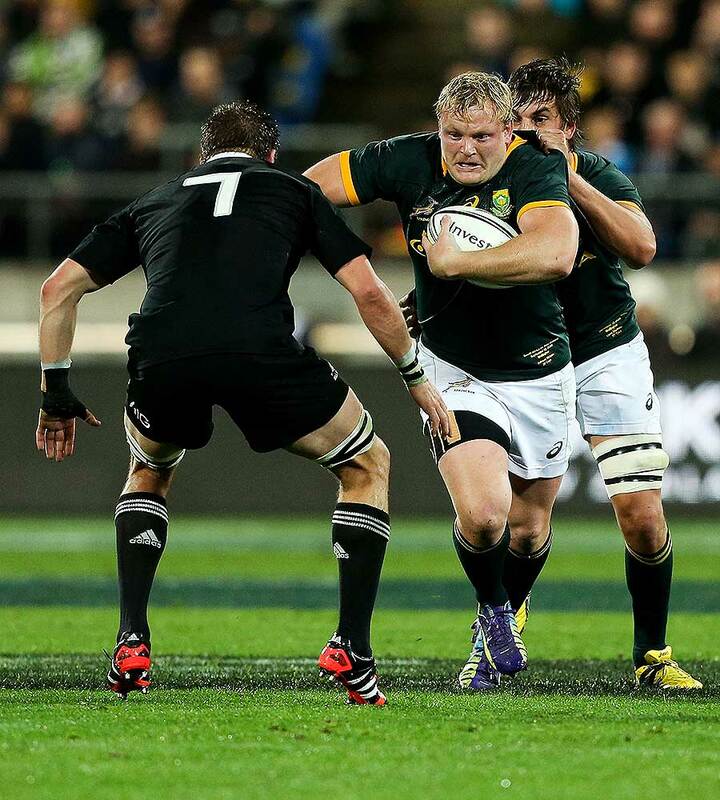 South Africa have made one change but are waiting on the fitness of Duane Vermeulen. Bismarck du Plessis comes in for Adriaan Strauss but Vermeulen is struggling with a rib cartilage injury. He will be given a chance to prove his fitness but if he fails then Schalk Burger will start at No.8 with Warren Whiteley providing cover from the bench. Injury has forced two changes in the pack, with Joe Moody replacing Wyatt Crockett and Jeremy Thrush coming into the team in place of Brodie Retallick. On the bench Dane Coles is named alongside Charlie Faumuina, Steven Luatua and Liam Messam. Tawera Kerr-Barlow is also included while Ryan Crotty replaces Cory Jane. There were plenty of great performances from the Boks last week, but Patrick Lambie may be the biggest backline threat against the All Blacks. On top of his ability with the boot, the fly-half made a massive impact off the bench and his amazing leg-strength against tiring defenders may prove decisive. The All Blacks were back to their counter-attacking best last week, and Four-Test centre Malakai Fekitoa impressed in replacing injured inside-centre Ma'a Nonu, looking defensively sound and dangerous with the ball in hand. The conveyor belt producing destructive centres continues for New Zealand. New Zealand have conceded more penalties (average 12.4) per game and many of these have come at the breakdown. The pack will wanting to change that or the Springboks will take full advantage. South Africa should have been ahead earlier against Australia, given their possession dominance. Scrums and lineouts. South Africa are the best when the ball is thrown in, while the All Blacks reign supreme when the packs do battle. If the affects of playing at altitude start to show, the scrum is one area where the All Blacks may suffer late in the game. It shapes as a fascinating duel. The All Blacks have averaged the most clean breaks (8.4) in the tournament so far, with South Africa ranking last (4.8) in the category. Australia managed to draw with the All Blacks at home and South Africa will go one better, finally ending New Zealand's the undefeated streak. Springboks by 3.